Igado is an authentic Ilocano dish made from pork tenderloin and pig innards cooked in a vinegar-soy sauce mixture. You can find it in every turo turo in the Philippines because everyone loves it too. Though it is high in uric acid, moderation is advised when eating this menu. 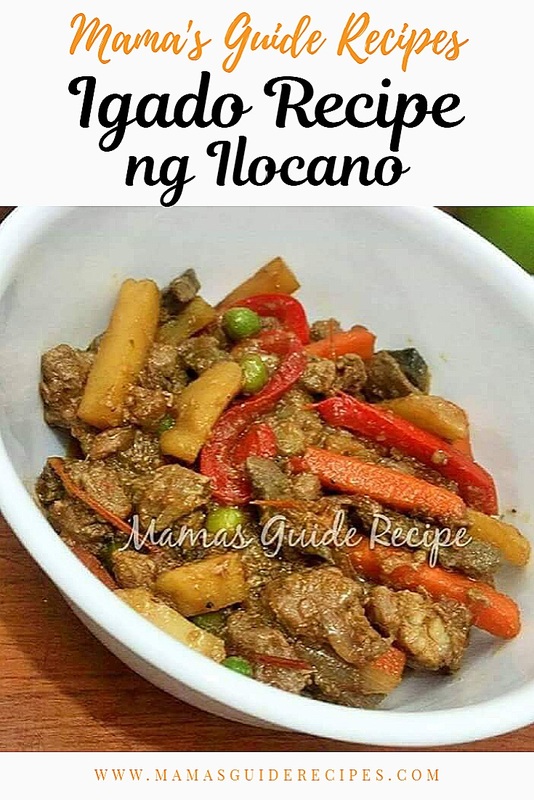 Nakatikim ka na ba ng tradisyonal na ulam na Igado? In a pot, heat oil over medium to low heat and sauté garlic and onions. Add the pork tenderloin and continue cooking until the color of the outer part turns light brown. Add the soy sauce and water and continue simmer until the pork is tender. Add the pig’s kidney, dahon ng laurel, salt, and pepper and simmer for 10 minutes more. Then, add the pig’s liver, vinegar and continue to cook for another 10 minutes. Add the carrots, green peas and bell pepper and cook for 3-5 minutes. Mix it well and let the liquid to evaporate until the sauce becomes thick. Transfer to a serving plate and serve while hot. Share and Enjoy!